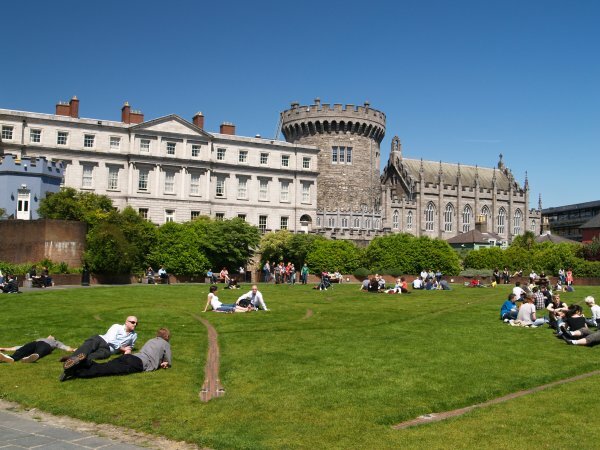 Dublin Castle overlooking the 'Dublin Garden' (Dubh Linn Garden). On the left is the Octagonal Tower ~1812 and on the right The Church of the Most Holy Trinity completed in 1818 (once called the Royal Chapel?). 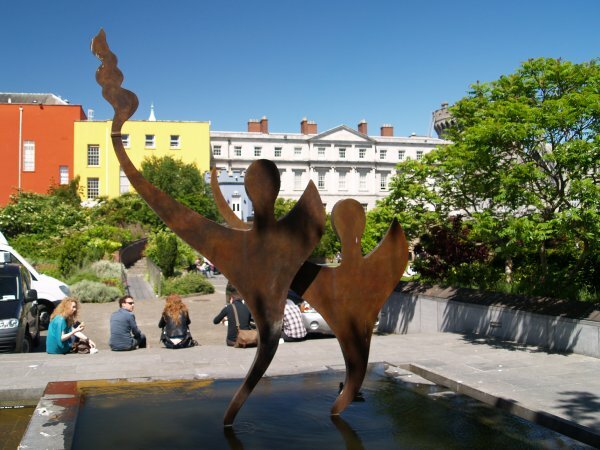 One of the modern sculptures in the Dublin Garden. 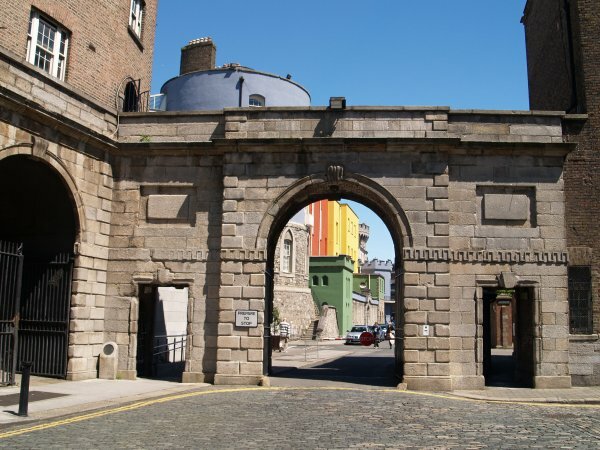 The south-west entrance gateway to Dublin Castle. Just behind it on the left is the grey-blue painted 14th century Bermingham Tower. 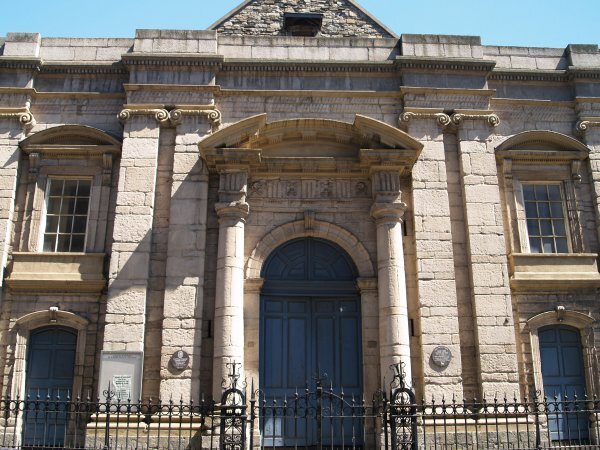 St Werburgh's Church of built 1715-1732 was built on the foundations of a 12th century church but had to be rebuilt after a fire in 1754. 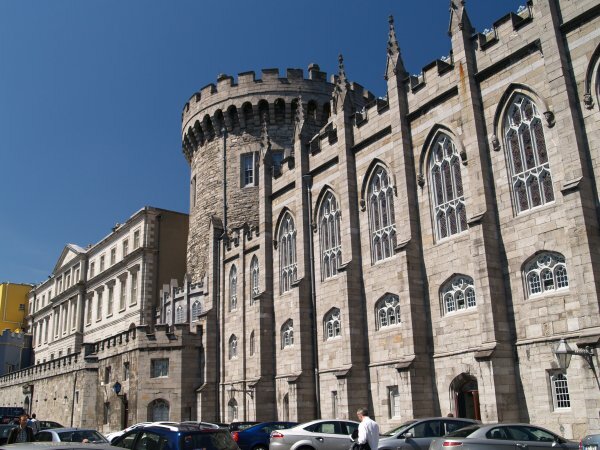 It initially served as the Parish Church for Dublin Castle before the Church of the Most Holy Trinity was built. 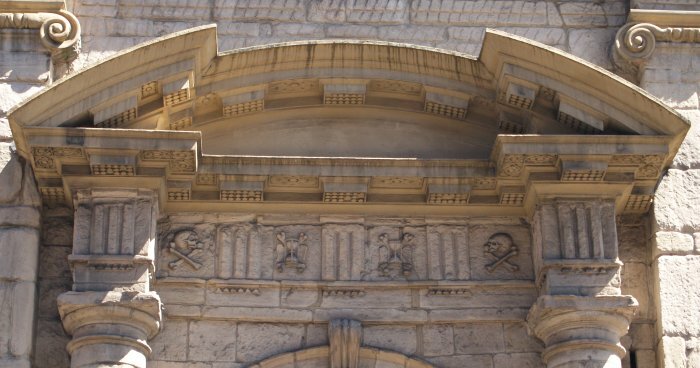 Details of the stonework of the entrance to St Werburgh's Church. 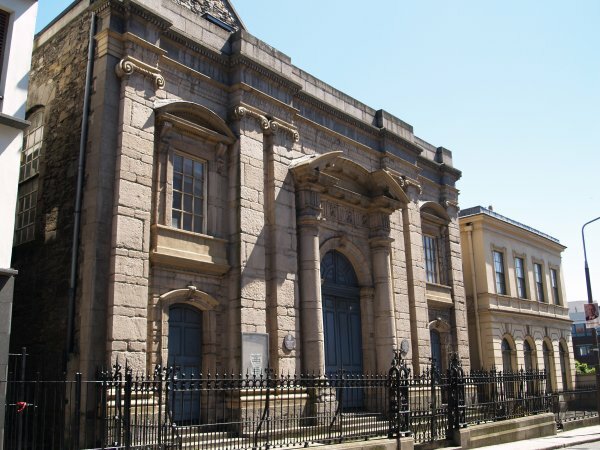 Typical early 18th century architecture - as is the doorway to Taylor's Hall below.. 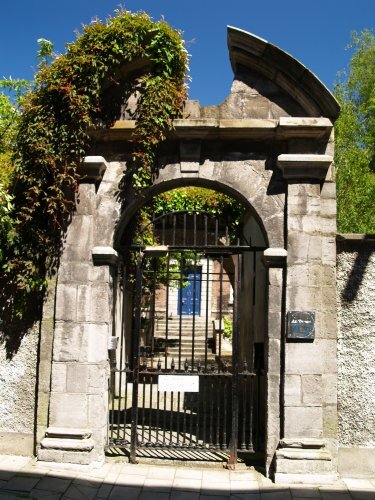 The entrance to Tailors Hall of 1706, it is the oldest Guildhall in Ireland, and is now the home of the Irish National Trust.